It's looking like a very blue Monday for Big Blue. IBM shares were sharply lower after the company dumped its chip unit at a loss and said it was disappointed with its earnings. The computing company, a component of the Dow Jones industrial average, will take a $4.7 billion charge to sell its chip unit to Globalfoundaries, which will be a supplier of chips to IBM for the next three years. The chip unit lost another $100 million in the most recent quarter, roughly the same as the loss a year earlier. 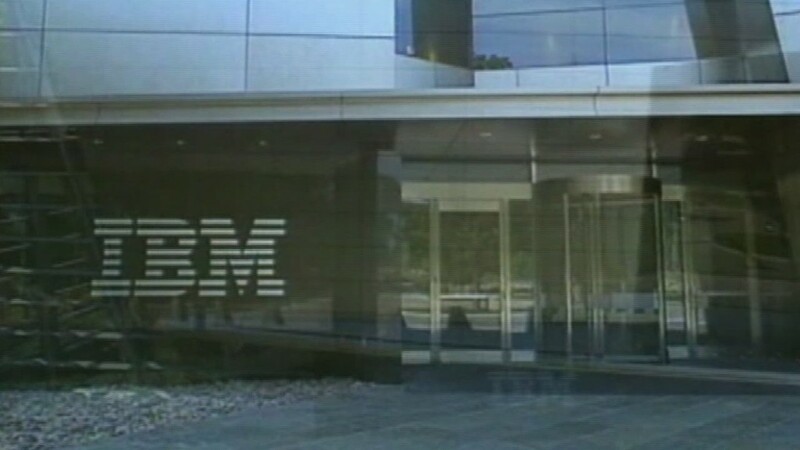 To shed the money-losing unit, IBM will continue to invest $3 billion in chip research and development over the next five years, with Globalfoundaries benefiting from the results of that research. In return for that, Globalfoundaries will pay IBM only $1.5 billion over the next three years. IBM also reported lower earnings and revenue that were sharply below forecasts by Wall Street analysts. It said the poor results were due to a "marked slowdown in September" in sales and that the results "point to the unprecedented pace of change in our industry." "We are disappointed in our performance," said CEO Ginni Rometty. 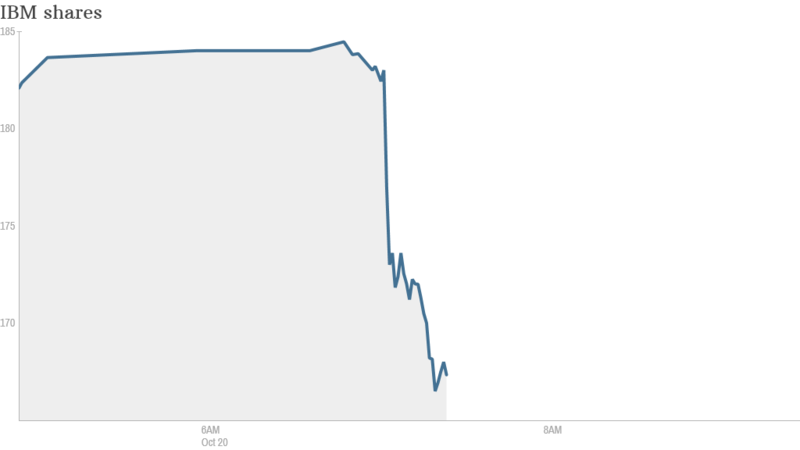 The fall in IBM (IBM) shares took Dow futures, which had been positive earlier, into negative territory.